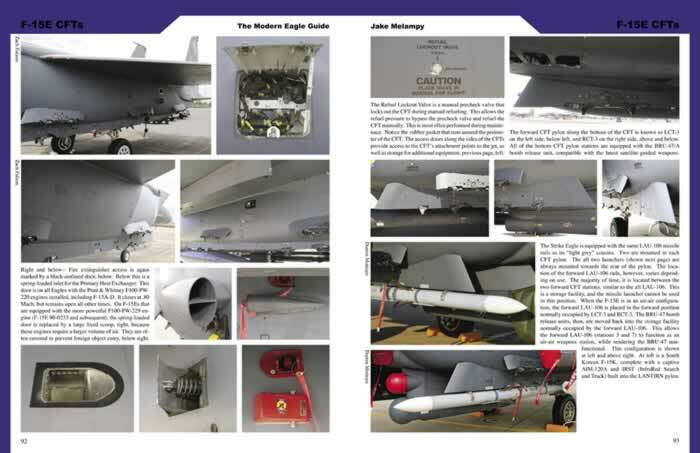 Advantages: In depth and detailed photographic coverage of current versions of the F-15 Eagle and Strike Eagle and its weapons. 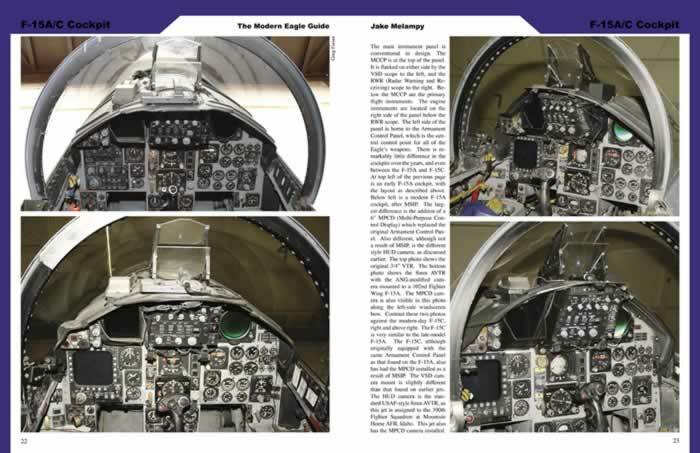 Conclusion: For anyone wanting to add that little something extra to their F-15 model, looking for that "one" book on the Eagle or even if you're just interested in the F-15 in general, this book would have to be high on the "must have" list. Before I begin my review I should point out that I did provide a (very) few photos which have been used in this book I don't believe this will colour my views or opinions offered in this review at all but simply felt that I should mention it in the interest of openness and honesty. 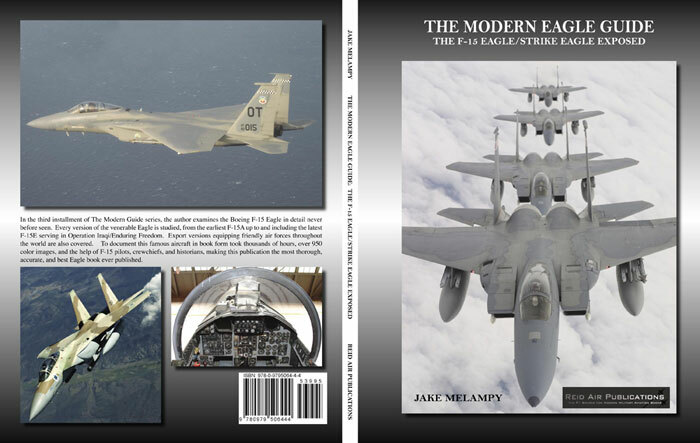 This latest book from Jake Melampy provides a very detailed, photographic coverage of the F-15 in both its Fighter and Strike versions. Like previous books in the series, it is laid out in a fairly logical sequence. After a very brief introduction and background to the Eagle, the detailed, photographic coverage starts (quite logically) at the front with the large radome then continues on around the airframe covering the cockpit (external then internal), fuselage, wings, wheel wells, engines etc. before moving on to pylons, launchers and weapons and finishing off with a brief coverage of F-15 units, including overseas users. Some external details of the Republic of Korea Air Force's (ROKAF) brand new F-15K version are also covered where they vary from the USAF's F-15E version. 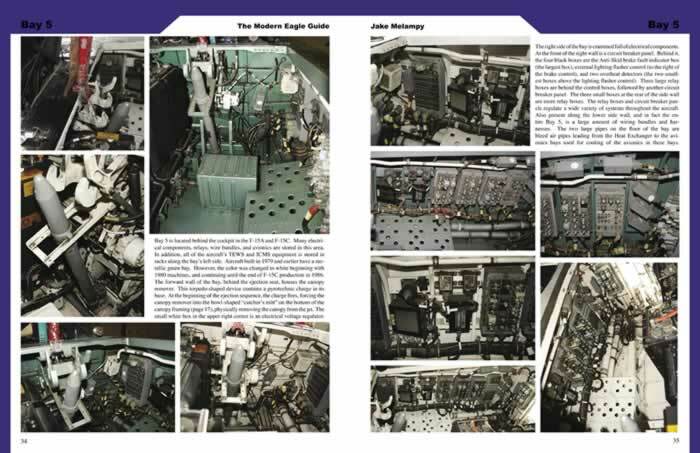 An indication of the level of coverage and attention to detail that this book provides can be gauged by the fact that fully 43 pages are used just to cover the cockpit areas of the A/C, B/D and E variants! The captions are more than just a repetition of what you can see for yourself see in the photos as well, providing interesting and informative explanations and background for what you are looking at as well as often drawing your attention to the smaller details or variations that may not be obvious at first sight. 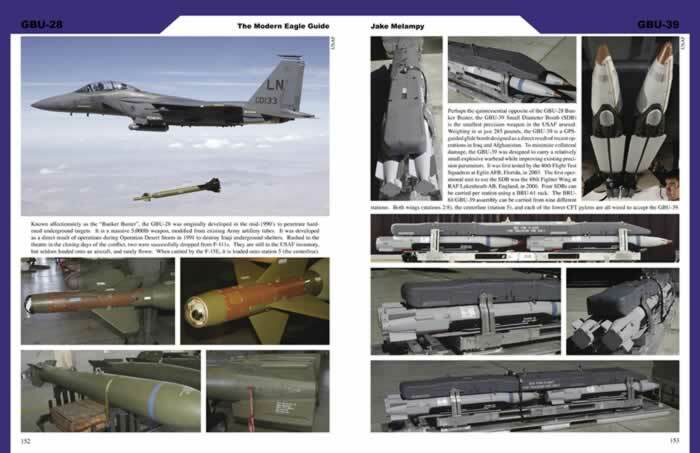 The coverage of the Eagle's weaponry, sensors, stores pylons and launchers is equally as thorough and includes some of the very latest ordnance to be seen on the various versions of F-15, such as GBU-39 Small Diameter Bomb (SDB), JDAMs and AIM-9X as well as more (perhaps?) mundane items such as the Sniper targeting pod, AN/ALE-58 BOL dispensers and ACMI telemetry pods. As with Jake's previous "Exposed" volumes on the F-16 and A-10, the level of coverage and access which he has achieved is truly amazing and a lot of effort has obviously been put in behind the scenes to have enabled such a detailed and thorough coverage of just about every inch of the F-15 imaginable. It isn't just a couple of general overview shots per subject either. Jake has delved right into each nook and cranny and provides close up photos of many of the smallest details along with different angles of many areas which leaves the reader in no doubt as to exactly what's there. One section that doesn't quite seem to match the visual quality of the majority of the book (and, like all of Jake's books so far, you have to be looking hard and being pretty picky to find much to fault) might be the section at the end which covers the various Eagle units in the US forces and around the world. The mixture of the text and photos in this section seems to look a little haphazard and disjointed with the large text seeming to compete with some of the photos rather than compliment them and it's sometimes a little unclear which text is relevant to which photo. This is particularly evident on the pages for some of the overseas units. To be fair, photographic coverage of some users is very difficult, if not impossible to come by (e.g. Israeli and Saudi Strike Eagles) and Jake has done very well to be able to include as much coverage as he has (and, to be honest, this section is also where a few of my photos have been used so make of this what you may). It might also have been useful to include some form of index or key at the beginning, or some other aid, to allow the modeller to quickly locate the specific areas of interest that they may be after during a build. These are very minor nitpicks though and shouldn't detract in any way from the fact that, as a whole, the depth of coverage, presentation and quality of photos and information puts this book among the very best references available. The quality of photo reproduction throughout the book is very good, being printed on good quality satin paper and the book itself has an overall feel of a good, quality product. 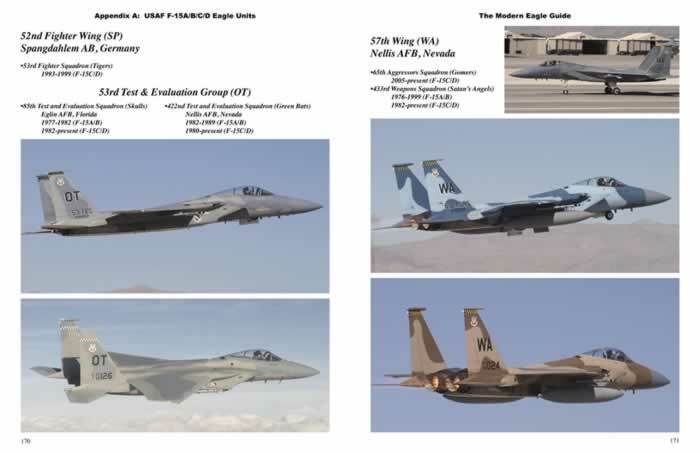 For anyone wanting to add that little something extra to their F-15 model, looking for that "one" book on the Eagle or even if you're just interested in the F-15 in general, this book would have to be high on the "must have" list. With thanks to Jake Melampy / Reid Air Publishing for the review sample.